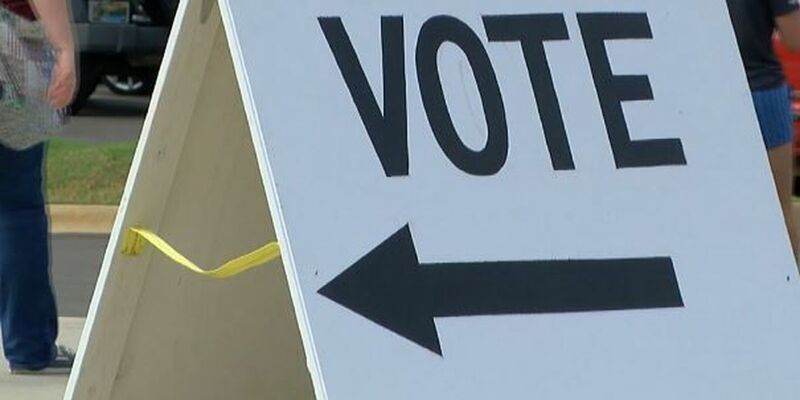 HATTIESBURG, MS (WDAM) - It'll be a battle at the ballot box as primary elections will soon be underway across Mississippi, deciding who moves on in the race to represent the state in Congress. "It's an interesting year. I think people are getting involved and it's fun to have a competitive race here," said Joe Weinberg, a political science professor at the University of Southern Mississippi. On the U.S. House of Representatives side, three of the four incumbents are seeking re-election. Gregg Harper's seat is the only one that'll for sure usher in a new face. The race for the U.S. Senate is getting the most attention, with both seats on the table. "To some extent, one of those is very safe. The other one is the fun one," said Weinberg. Weinberg said that fun one will be the race to fill longtime Republican Senator Thad Cochran's seat, who retired in April. Right now, Republican Cindy Hyde-Smith is serving as interim senator, but she will go up against a handful of candidates in a November special election to determine who will serve the remaining two years of Cochran's term. Since it's a special election, there will be no primary, and whoever wins will have to run again in two years if they want to keep the seat. "What's at stake has unfortunately already been lost, and that's Senator Cochran's seniority," said Weinberg. Weinberg said Cochran's former chairmanship on the powerful Appropriations Committee and his position on the Agriculture Committee put Mississippi at the table of political power. Whoever takes his seat in the Senate will have their work cut out for them. In the other senate race, there will be a primary. Republican incumbent Roger Wicker is battling a fellow Republican, six Democrats, a libertarian and a Reform Party candidate. Currently, Representative Bennie Thompson is Mississippi's only Democrat in the House. Mississippi hasn't had a Democrat in the Senate for 30 years, and with eight candidates between both Senate races, Democrats hope to change that. "If the Democrats turn out and the Republicans split votes among themselves, that's how you can sneak in that democratic senator we haven't had in quite some time," said Weinberg. Republicans hope that won't happen, in any of the races. "If we're organized, if we stay united, we're not going to have any trouble in November, but it's a long road to there and we're going to work as hard as we possibly can to ensure we're successful," said Mississippi Republican Party Chairman Lucien Smith. Smith said the party isn't worried, even as Democrats turn some seats blue across the country. "We've got the advantage that our policy positions are in line with what Mississippians want to have come out of government.," said Smith. Even with that, Weinberg said it's going to come down to folks showing up to actually vote. "It could be exciting, at the very least, to have a competitive race in Mississippi, which is not something we talk about very much in this state," said Weinberg. Mike McDaniel is a true small town Southerner from South Louisiana. He rejoined the WDAM news team in June of 2013.